Stand by Me heard that children in a remote mountain village in Nepal were not going to school. For some, the nearest school was a four hour journey away. Thanks to the generosity of our supporters, our vision to build a school in this village and bring education to the children who need it most is underway. The school will give children access to a great education and also be a centre from which we can reach out to their families and provide them with the knowledge and tools needed to rise out of poverty. We are delighted to tell you that the land has already been levelled and cement, bamboo and materials have arrived on site. 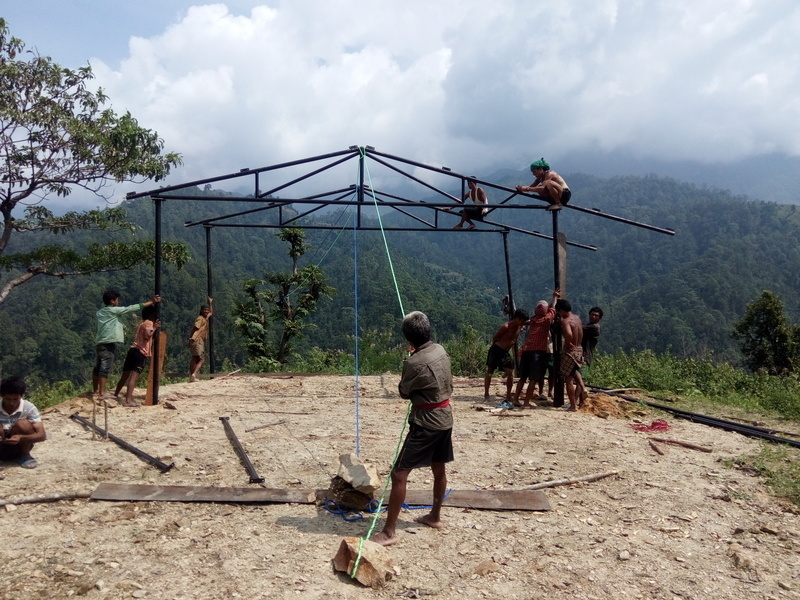 The local team are working hard on the construction of the school and the frame is taking shape. It won't be long until the building is completed and classes can begin. While the school is being built, our staff are continuing to work with the local families and educating the children, girls especially, on how to protect themselves from the dangers of child trafficking and early marriage. Hurricane Matthew’s path of destruction has made headlines but little has been reported about the impact on Colombia. In Guacamayal where we work there has been extensive flooding. One day Natalia was playing ball games with her cousin and a friend by the river when a collision caused one of Natalia’s front teeth to break, leaving her with a gap.